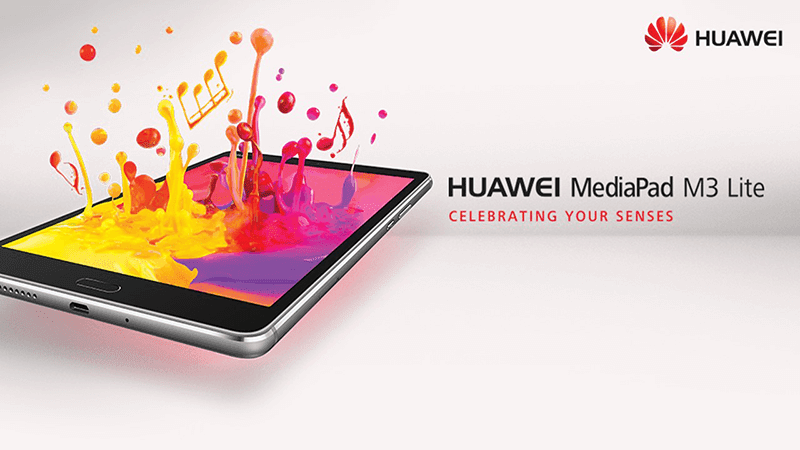 Today, Huawei Mobile Philippines has finally announced the local suggested retail price and availability of the MediaPad M3 Lite with dual Harman Kardon speakers. The MediaPad M3 Lite is the more affordable brother of the regular MediaPad M3, a multimedia powerhouse. But, even if it is lighter in name, this tablet is isn't that light in features for the asking price of PHP 13,490. It boasts a nice type of 8.0-inch FHD IPS screen with 1920 x 1200 at 283 ppi and enhanced eye sight protection. Inside, it quite good as well. This tablet is powered by Qualcomm's 64 bit Snapdragon 435 octa core processor paired with Adreno 505 graphics, 3GB RAM, 32GB expandable storage, and 4,800mAh battery with up to 8 hours video playback time. Then like what we mentioned earlier, MediaPad M3 Lite are also packed powerful sounding pair of Harman Kardon tuned speakers for your high-quality entertainment on the go. This speaker also has an 8MP back and front cameras, fingerprint scanner / home button in front, WiFi, LTE, and Android 7.0 Nougat OS with EMUI 5.1 skin on top. It measures at 213.3 x 123.3 x 7.5 mm and weighs at 310 grams.